The design process at Concept Transporters revolves around the customer and their specific requirements for a project. Each project is designed from the ground up creating a vehicle that is ideally suited to its intended use and designed exactly to the customer's specific needs. All racing transporters are not created equal. At Concept Transporters we understand that a vintage racer's needs are not the same as a NASCAR team. Each transporter is designed with the client's needs in mind. Unique solutions are created that provide the best user-friendly transporters on the market. Custom tailored, our hospitality vehicles range from intimate corporate entertainment coaches to fully self-contained mobile kitchens. Portable showrooms, education centers, mobile trade show exhibits, vehicles with expandable rooms, fold-down stages, etc. are all vehicles and options offered by Concept Transporters. Mobile emergency command centers, medical facilities, portable MRI facilities, fire and rescue vehicles, law enforcement vehicles, etc. 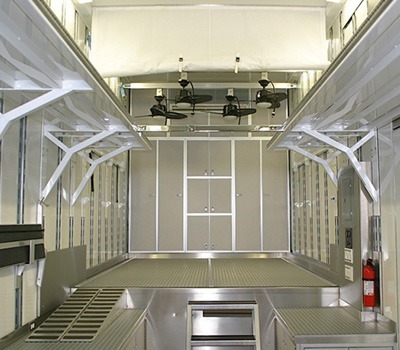 Every part on every vehicle at Concept Transporters is fabricated by skilled craftsmen using state of the art techniques. Concept Transporters uses "lean manufacturing" ideals throughout the manufacturing process to aid in efficiency and quality control. Concept Transporters has a long history of building efficient, innovative, and effective transporters for a wide range of industries. 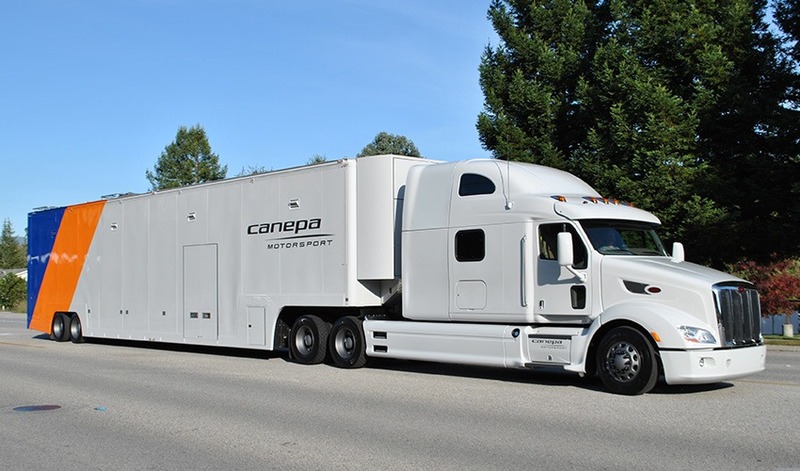 Whether it's a motorsport transporter, hospitality trailer, or a corporate marketing trailer, Concept Transporters can design and manufacturer the trailer to fit your specific needs. Concept Transporters is a licensed OEM manufacturer of trailers and can build shells of any configuration from the ground up as well as convert any existing manufacturer's shell upon request. Concept Transporters recently began producing a state of the art transporter that allows users to transport cars like never before. This completely new design transporter allows vintage racers and collector car haulers to transport 3 cars while providing a complete 12 to 14ft. lounge with restroom, sofas, entertainment center, etc. all within a new 45ft. custom built transporter that can be licensed as an RV. 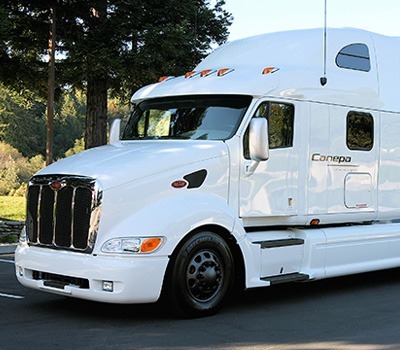 Concept Transporters starts with a new custom truck chassis and designs a customer specific vehicle that does exactly what the customer requires. The trucks can either transport four cars, or three cars and still maintain the lounge or living quarters. Ultimately each customer will meet with Bruce Canepa or Jeff Gardner to have a truly custom vehicle designed to fit their exact specifications. combinations to suit the specific needs of customers. Whether it is designing and building a simple car transporter from a used cab and chassis or building a new multi-car hauler using a new specific purpose build cab and chassis Concept Transporters has the experience, expertise, and capability to give customers exactly what they need. Up to four-car capacity, or three with a lounge.